Over the years numerous studies on Aspalathin have been conducted locally and on international platforms. While many of these studies have shown positive results, it is important to note that current and ongoing studies have shown conclusive results using Afriplex GRT™. The focal point of developing Afriplex GRT™, was the potential health benefit for people managing the symptoms and effects of metabolic syndrome, diabetes, insulin resistance, cholesterol and obesity.
" positive influence on the regulation of cholesterol, blood glucose level..."
The work and research performed by the SAMRC indicates that Afriplex GRT™ has a positive influence on the regulation of cholesterol, blood glucose level maintenance and insulin resistance. An additional advantage of using Afriplex GRT™ is its ability to function as an immune booster. 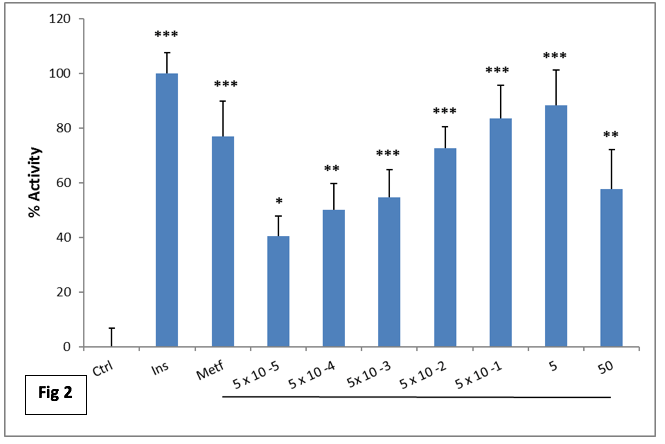 Anti-diabetic and hypoglycaemic effects of Aspalathin-enriched rooibos extracts. Fig 1. 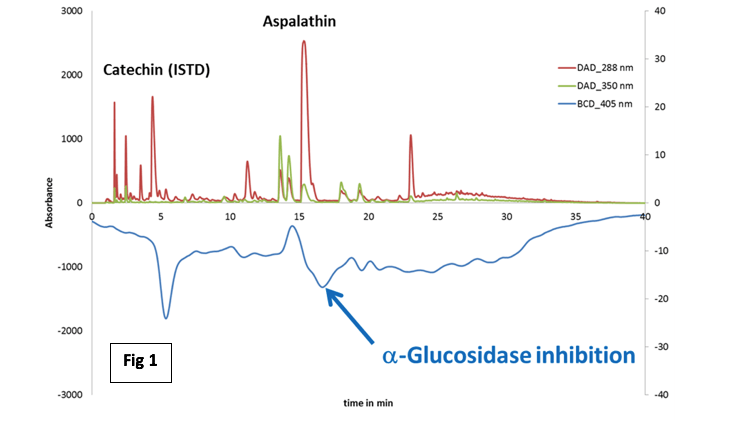 Demonstrates inhibition activity of α-glucosidase by Aspalathin, as a mechanism to slow gastric glucose uptake and modulate post-prandial blood glucose levels. Fig 2. 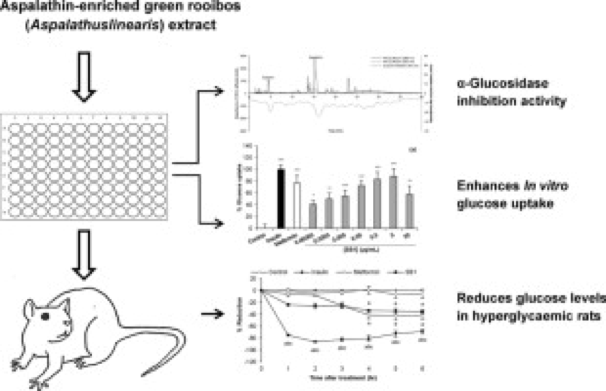 Aspalathin enriched green rooibos extract increase glucose uptake and utilization by muscle cells. Kamakura and Muller et al (2012) both show the Afriplex GRT™ to have hypoglycaemic potential. 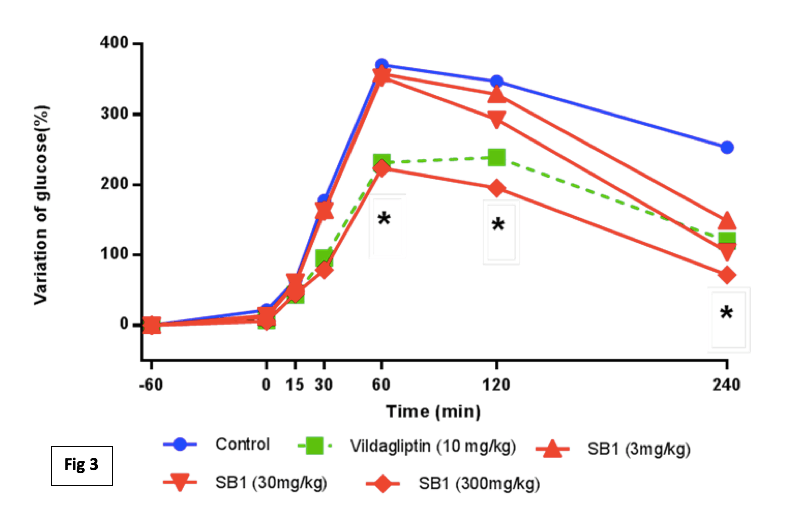 Its glucose lowering effect found was comparable to metformin (a drug used to treat type 2 diabetes) over a six hour after administration to SSTX-induced diabetic rats. In preparation for human studies, safety studies have been conducted in normal and metabolically compromised Vervet monkeys. These monkeys were treated with Afriplex GRT™ extract. 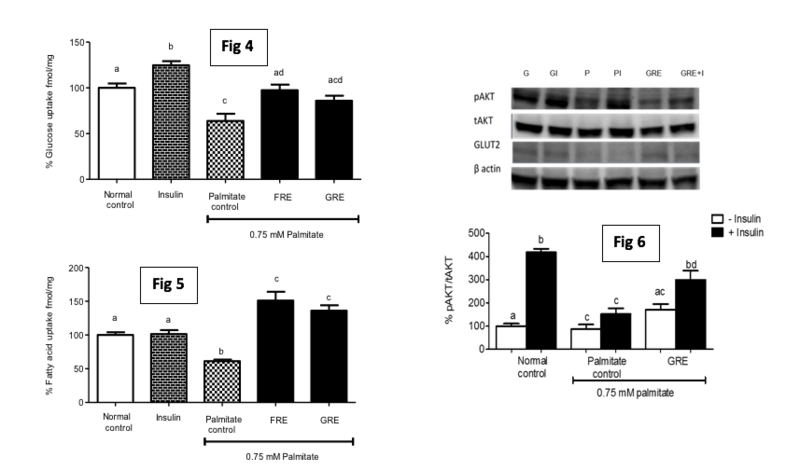 Findings show that Afriplex GRT™ improves glucose tolerance in metabolically-compromised monkeys. Further testing to identify oxidative damage to cholesterol control indicate that Afriplex GRT™ also contributes to the lipid balance, correcting the cholesterol control and reducing the chances of resulting cardiac conditions. A randomised, double-blind, placebo-controlled study will include obese men and women. They will receive the Afriplex GRT™, undergo physiological testing prior to and at the completion of the 16week intervention. Body composition, glucose and lipid metabolism, blood pressure, liver tests, blood profiles and fat regulating hormones will be regulated. 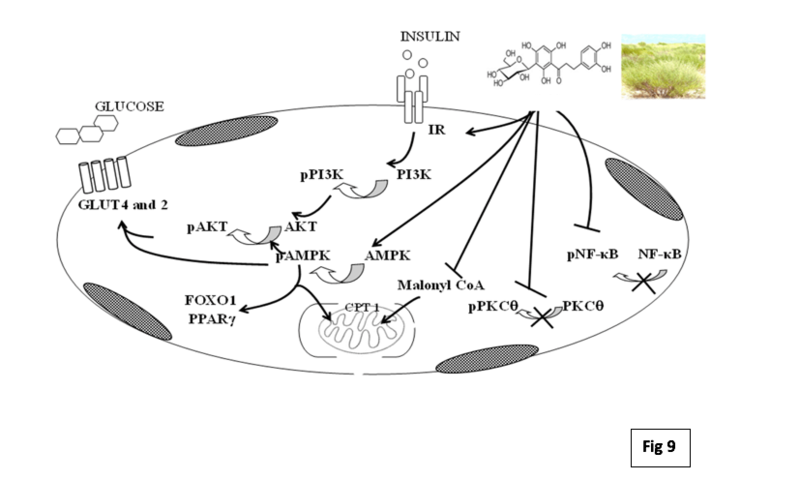 In addition, the focus will fall on markers of oxidative stress. This study is planned to start in April 2018 and results to be available within 18 months.